Last month, Paul Weimer suggested I write about the connections between epic fantasy and space opera. Initially, I didn't know how to approach the topic. Paul, you see, is far better read than myself, particularly in the literary history of science fiction and fantasy. What could I say about the topic that Paul couldn't say better? Well, I'm going to take a stab at it! There was also another problem: which period of these two genres are we talking about? If we're looking at the early years of space opera and epic fantasy, then the connection is apparent, but diffuse. Both epic fantasy (what might have been better termed as heroic fantasy in its "root" period) and space opera in the first half of the 20th century shared roots with the adventure fictions that preceded them. Space opera arose, more or less, out of the planetary romances of writers like Edgar Rice Burroughs, proto-space opera writers like E.E. "Doc" Smith (though some might disagree with that assessment) and late-19th century "future war fiction" (see I.F. Clarke; I would argue that space opera gets its political undercurrents from this movement). Both forms (space opera and planetary romance) are hard to distinguish, since they often share in the same melodrama, with "space opera" typically playing within a much wider canvas (though not always), and both forms share a common root in the late 19th century adventure stories and the pulps that followed. Epic fantasy, too, can be traced back to 19th century adventure stories, and early forms of epic fantasy (probably just called fantasy or heroic fantasy and certainly bearing little resemblance to contemporary epic fantasy today) were not unlike early forms of space opera: melodramatic adventures set in exotic locales, grandiose in scale. and featuring one or more heroes at center stage. Tolkien is the obvious modern "father" of epic fantasy, but even The Lord of the Rings was preceded by heroic fantasy writers such as Robert E. Howard, Evangeline Walton and Eric Rücker Eddison or other fantastists such as Richard Wagner, George MacDonald, etc. -- anyone with a passing familiarity with these writers can see the connections. Epic fantasy, of course, diverges quite a bit from space opera: its heroes are mostly pitted against some variation of absolute evil; the world or "world as we know it" is usually at stake, rather than galactic civilizations; magic serves as the operative "speculative" element rather than science; and the conversation an epic fantasy has with its time is less pronounced or more abstracted (having come from a genre whose speculations are not rooted in the real). These are simplistic explanations, of course. If you want to know the full history of either field -- science fiction or fantasy -- you need to read a few books on the subject, and that's certainly true of me, since fantasy is not my academic field. Regardless, even if we start from such fundamentals as the roots, it becomes clear that though the genres start from very similar places (divergent in parts, of course), their paths to the present were drastically different. Space opera began to move away from its planetary romance roots by the time the Golden Age rolled around, embroiling its future narratives in complicated allegories of contemporary politics and economics and developing grandiose "universes" in which larger questions about humanity and its culture could be asked and sometimes answered. This is not to suggest that space opera discarded the melodramatic space adventures of its roots. Rather, space opera gained three faces best exemplified by Star Wars (1977; dir. George Lucas), Star Trek (1966-1969; created by Gene Roddenberry), and 2001: A Space Odyssey (1968; dir. Stanley Kubrick): it became the high-flying epic adventure of its roots (similar in style to early epic fantasy), the wide-canvas exploration of human ingenuity and identity, and the philosophical interrogation of the human self. Epic fantasy, however, didn't begin to transcend its generic roots until the last 20 years or so; it has, for so long, been mired in repetition, imitation, and simplified heroic tropes, even as writers within epic fantasy have tried to push against such things. We can point to exceptions, of course, but one would be hard pressed to argue that the face of epic fantasy has been anything but writers struggling to swim out of the wake of Tolkien for much the 20th century. Now, I think epic fantasy is experiencing a resurgence of what might be called "critical engagement," not as "exceptions" but as the "face." 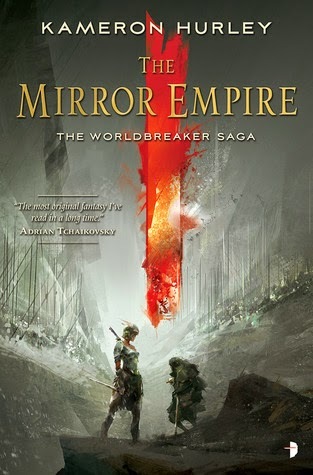 From Kameron Hurley's The Mirror Empire (2014) to Joe Abercrombie's grimdark First Law trilogy (2009-2012) and on and on and on, epic fantasy (and fantasy in general) appears to be having a new Golden Age (much like space opera has had with the New Space Opera movement), brought on by decades of slow, deliberate pushes against the Tolkien model -- not because Tolkien's model is bad, but because it is so often repeated to lesser effect. I hope this is a real trend and not some figment of my imagination. Science fiction and fantasy are my great literary loves, but I think it's the perception of fantasy as the "less serious" genre which has left it out of academic conversations, except in those rare cases where one must talk about a fantasy without talking about it being a fantasy. I've certainly seen things changing within academia overall, though science fiction still remains the critical focus. But if I'm right that fantasy is pushing back against its roots, not to "diss" those roots, but to advance the genre as a whole towards more original (or at least less derivative) narrative practices, then fantasy will become as much a part of the academic discussion as science fiction. For me, that's a good thing, because it makes talking about fantasy less like talking with a push and more like having a conversation with a forest. Of course, I could be very very wrong here. If so, please put forth your own argument in the comments! : I would also suggest that most early space opera is decidedly not political in nature in the same way as "future war fiction." Its purpose was entertainment, if not explicitly, then certainly in form. : I would distinguish planetary romance from space opera by arguing that the former typically focuses on adventures contained to a single world (i.e., Burroughs) while the latter typically explores multiple worlds and assumes interstellar space travel is "easy." These definitions do not hold as the New Wave or the New Space Opera movement significantly shift how space opera is perceived. This post was suggested by Paul Weimer and selected by voters on my Patreon page. To get your own voice heard, become a patron! $1 gets you voting rights. Both Epic Fantasy AND Space Opera are in periods of experimentation and change the last decade, and that's a good thing. As tentpoles of the SFF genre, they do reflect each other, and often track up and down in reaction to each other. I think someone with far more reading experience than I should really tackle the way in which these two genres speak to one another. Academia tends to avoid the definition games these days (it's tired at this point), so subgenre discussions tend to get left out (or appear to me, anyway). Epic fantasy, however, didn't begin to transcend its generic roots until the last 20 years or so; it has, for so long, been mired in repetition, imitation, and simplified heroic tropes, even as writers within epic fantasy have tried to push against such things. We can point to exceptions, of course, but one would be hard pressed to argue that the face of epic fantasy has been anything but writers struggling to swim out of the wake of Tolkien for much the 20th century. I read "the wake of Tolkien" as direct, obvious imitators a la Sword of Shannara, David Eddings, or Eye of the World, and I definitely agree that there's been a LOT of that. But I think Epic Fantasy managed a few other faces as well, which while they might be springing from Tolkien also explored a lot of new ground. One side is the author's who dove deep on historically inspired fantasy, drawing from particular cultures. (Heavily, though not always western European influences). Kate Elliott's Crown of Stars series, Bujold's Curse of Chalion. Offhand I don't know of many of these books being written 20 years ago (I'd just started reading! ), but Kurtz's Deryni series pushes the date back further, and Mists of Avalon is maybe in that mode. Heck, Liz Bourke just wrote a whole piece on "Celtic" fantasy. http://www.tor.com/blogs/2015/03/celtic-fantasy-what-does-it-even-mean . This theme, btw, still going strong, with N. K. Jemisin's Killing Moon drawing Egyptian inspiration, and while I haven't read it, maybe also Bear's Eternal Sky Trilogy? Then there are the people who didn't use a historical inspiration, but did take the opportunity offered by magic to "make real" some internal or external pressures. (I'm very loosely paraphrasing Stephen Donaldson here, and skirting the borders of allegory, though some of these pretty clearly are). I'd point to Friedman's Black Sun Rising, maybe even Donaldson's Covenant series itself, and Le Guin's earthsea for starters. Probably also Modessitt's Recluce. None of these seem obvious Tolkien rehashes. Plus (and good god, more grimdark mention? I'm sorry). First Law seems to obviously have precursors like Glen Cook's Chronicles of the Black Company and Robin Hobb (Assassin's Apprentice, at 1995 is right on the cusp of your "last 20 years"). I dunno. I take your point that there were some HEAVY Tolkien imitators. And no matter how much I adored Eddings & Brooks, I can't really try to defend them. And there are modern folks sitting very comfortably in that mold still. I think that the "Epic Fantasy as magic laid over real historical epochs" (with more or less levels of research) was a real enough trend to not dismiss as outliers. I also feel pretty comfortable pointing to people doing secondary-world tuff in order to make real otherwise internal conflicts (Modessitt, Friedman). Even among the Tolkien imitators, I'd probably call out Jordan as doing some interesting things well outside of Lord of the Rings (in part because he missed so much of the theological complexity of middle-earth and in part because he added so much in the secondary-world aspect). 2001: A Space Odyssey as a space opera? Seriously? I think your argument is let down by the lack of space opera examples. Media sf doesn't really do the job. 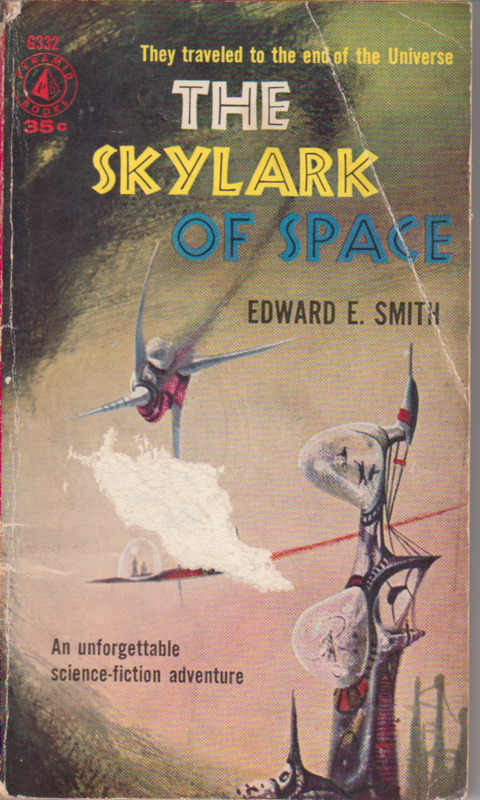 You mention EE 'Doc' smith, whose Lensman series certainly qualifies, and was certainly published before the term space opera was coined (as a pejorative, originally). But there's also James Gunn, Poul Anderson's Polesotechnic League, Jo Clayton, Andre Norton, CJ Cherryh (arguably), Leigh Brackett... and that's before you even get to they year Star Wars was released. Yes, seriously. It's a space opera. The post isn't meant as an exhaustive history. I wanted to get at what I see as the root connection between the two genres. 2001: A Space Odyssey is no more a space opera than Interstellar. And I can't see how you can draw links between two subgenres - which are, incidentally, in no way linked, and only "neighbours" by historical accident - if you're operating to a definition for one subgenre not shared by the subgenre itself. It seems to me altogether pointless to debate definitions when no definition within this field can be reasonably expected to be shared verbatim by any two people. What I see as X may be viewed any number of ways, so wasting time arguing about that serves little purpose. As for the roots: there we disagree. I would agree that space opera and epic fantasy diverge significantly as they develop or are codified as subgenres, but they come out of some of the same traditions even as they come to different conclusions or draw on different historical roots. I don't see it as historical accident, but as an organic response to literary developments at the end of the 19th century. Adventure fiction had a profound impact in both subgenres, even if they draw in other traditions that precede that period of writing (a given). That's how I view it, and it is certainly how I intend to discuss it come the fall semester (granted, I'm only talking about space opera). I certainly agree that pulp, or adventure, fiction played a huge role in the development of category science fiction and fantasy, and that both contain elements taken from it. But structurally science fiction and fantasy are different genres, and any surface similarities between, say, space opera and epic fantasy, are no more indicators that they're linked than any such similarities would be between a romance novel and a crime novel. I disagree that SF and F are necessarily structurally different genres. There are, in many cases, differences only in aesthetics, not structure. That's especially true of a lot of adventure-oriented space opera, which would look pretty much the same as epic fantasy if you changed the technology for something magical. Star Wars is literally just a fantasy set in space. Take out the space and put the story in Nougetland, a secondary fantasy world, and replace the lightsabers with magic swords and the spaceships with flying creatures, and there's really no difference at all. Romance and Crime are, however, distinct, because the operative elements cannot be interchanged. But those aesthetics, which you claim differentiate the genres, themselves predicate on the systems underlying their existence - for sf, they're a consequence of natural law, the laws of physics for example; but for fantasy, it's pure authorial whim. If you can put a sf story into the real world and the only thing that changes are the aesthetics, then that's bad sf not evidence of two disparate genres being the same. You can write a romance novel where someone is murdered... so what hasn't been interchanged? I didn't suggest that there are *no* structural differences between the genres, just that in many cases the differences are aesthetic ones, not structural ones, as in the example I provided. One would be hard pressed to defend that only good SF is structurally differentiated from fantasy along a natural / whimsical axis. As for romance: the operative element of a romance novel is a plot necessity. Unlike SF, which can incorporate other genres within itself (as I argued in my "taxonomy / SF as supergenre" post), romance cannot be romance unless the primary component of its narrative is some form of a romantic relationship or development. In that sense, it is naturally distinct from other genres. That doesn't preclude other genres from incorporating romance plots in its narrative, or vice versa. In short: you don't have a romantic entanglement with a murder; you might have a romantic entanglement with a murderer, though. These are major distinctions. I don't know how the first would actually work.